Never has a bar, literally by the side of the road, looked so good. 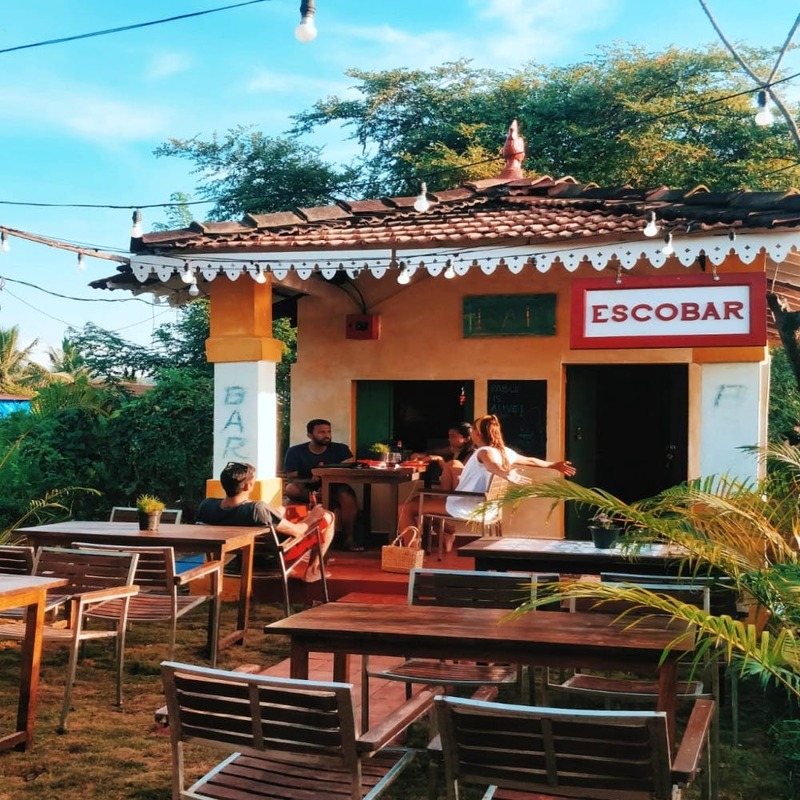 Escobar in Assagao is a little over three-months-old but it’s got everyone talking. And why not? It’s cool, it’s hipster and it comes with a skatepark and a pool table. Yay! The story goes that this spot was once a generic Vijay (or something) bar but when Anant and Terence set their eyes on it, they knew they could turn its fate around. From playing football together, this duo decided to call the shots at Escobar. They collaborated with a bunch of cool folks around town to get graffiti, they got Susegado chaps to have their beer on tap and recently even built a skatepark in the backyard with the help of Goa-based skating community champs. Often enough, you’ll run into Terence or Anant mixing and serving up drinks from what could pass off as a home bar set-up. If you’re done with beer, we dig is their kombucha cocktail (good for your gut and your spirit) and their flavoured Feni (hey ginger, hey masala). Rest of the bar menu is pretty regular with beer, gin, vodka, cocktails and the likes. Now don’t go to Escobar on an empty stomach because they don’t do a dinner menu — yeah, they’re happy being a grungy, old-school bar. We didn’t know better and landed so hungry that we tried every snack they had to offer. They have cheesy fries, fish fingers, garlic bread (OMG, yassss!) and chicken cafreal with poi. And, we can tell you that the fries are addictive and sausage chilli is the perfect comfort food to go with alcohol. The garlic bread slathered with generous amount of butter and garlic was also a welcome snack on a rather chilly Goa evening. Because we had such a good time sitting on their porch and listening to all the 80s pop, we had to ask Terence if they’d be open around the year. “Yes, but we’ll need to see how to keep the rain out,” he said. Meanwhile, they open at 5 every evening and are around till about 11:30pm on weekdays. On weekends, their doors are open till midnight. Some friends (who continue going here bdw) complain about the service being inconsistent. For us, we'd have loved more vegetarian snacks or more food, in general. Escobar usually picks up post 9:30pm. It’s usually also when parking is very hard to find in the area. So you've been warned.